WINNIPEG -- A former federal Conservative MP who now sits as an Independent member of the Manitoba legislature says he's making another run for federal politics. Steven Fletcher announced Monday on Facebook that he will seek the Conservative nomination in the federal consistency of Charleswood-St. James-Assiniboia-Headingley. Fletcher previously held the federal seat from 2004 until he was defeated in 2015, and served in the cabinet of former prime minister Stephen Harper. He then won a provincial seat as a member of the Progressive Conservatives when the party won power in 2016. 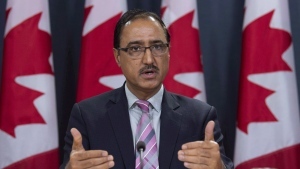 But he was removed from caucus and was forced to sit as an Independent after he criticized the government over its decision to set up an entity separate from Manitoba Hydro to promote energy efficiency. Fletcher says in his Facebook post that he will continue his role as an MLA for Assiniboia in the upcoming legislature session. "I have many events, activities and active legislative agenda to bring forward and complete. These include a dozen pieces of legislation, working with the community on parks and recreation space, community forms, barbecues, presentations to community groups, school visits, etc.," Fletcher wrote. "I appreciate everyone's support, I really do." 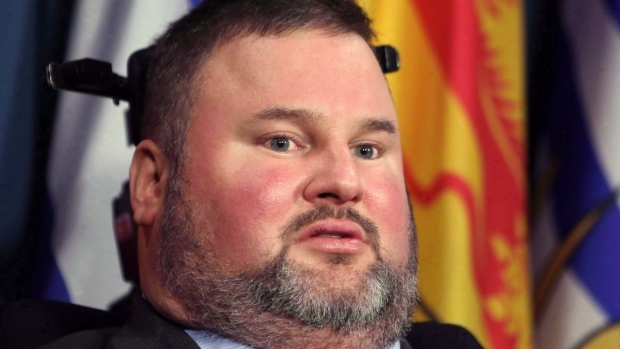 Fletcher is a quadriplegic and became well-known during his time as a federal politician for his battle for the right to assisted suicide. After he was ejected from Manitoba's government caucus, Fletcher filed a lawsuit over a provincial law that forbids legislature members from crossing the floor and joining another caucus. Under the law introduced by the former NDP government in 2006, Fletcher was required to sit as an Independent until the next election. That, or he could resign his seat and run in a byelection under another party banner. Fletcher's lawyer told court in December the restriction violates Fletcher's freedom of expression and association under the Charter of Rights and Freedoms. Court of Queen's Bench Justice Sheldon Lanchbery reserved his decision until March.